Your brother is taking a vacation? Should your nanny watch your niece too? Your brother and wife are taking a quick trip and they have asked if it would be ok for you to keep your five-year-old niece for the week. But, you’re working, and your nanny has a responsibility during the day taking care of your children. How should you handle this? Here are some ideas. 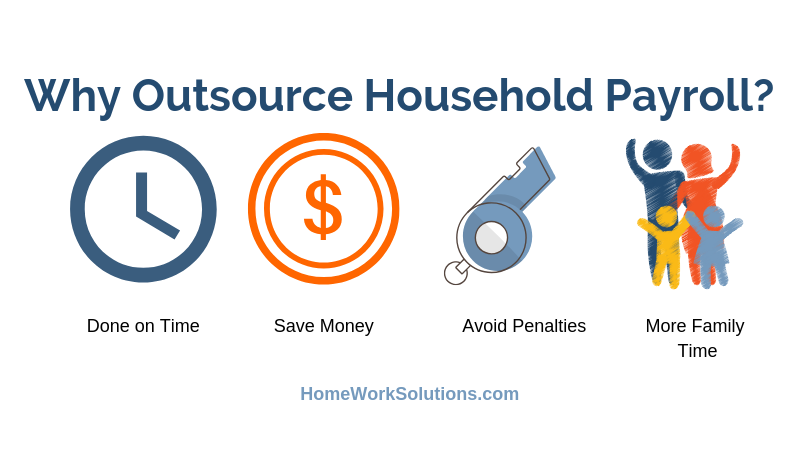 If you are considering hiring a new household employee, chances are, you are thinking about the many details that are involved with that. Opening your home and entrusting your loved ones to a new person is a big step and one that should be taken seriously. There should be much research and caution used. 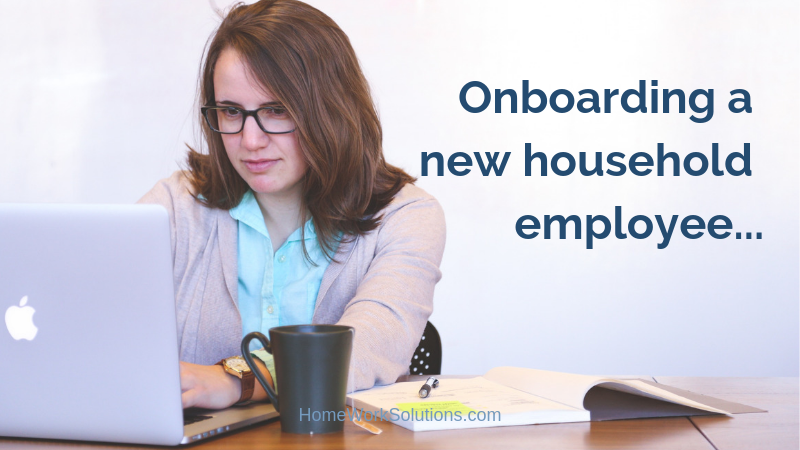 Here are some important things to keep in mind before you consider onboarding a new household employee. Worker’s compensation cases can get messy if they aren’t handled by the book. 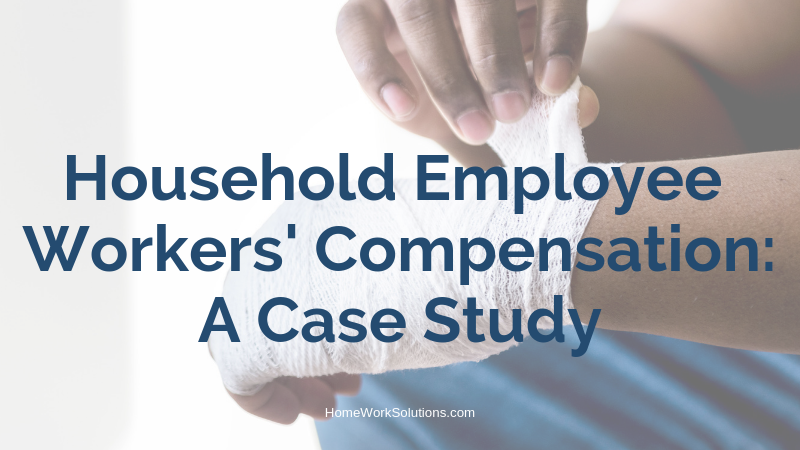 This client story shows the importance of purchasing a Worker’s Compensation Insurance Policy. Hiring someone to work one-on-one with your loved one is a very important decision that requires research and dedication. There are many caregivers out there looking for work, but which one is right for you? You may feel overwhelmed at that options, but what it really comes down to is, which person best connects with you and your family? Experience is key, but good character is what really matters. 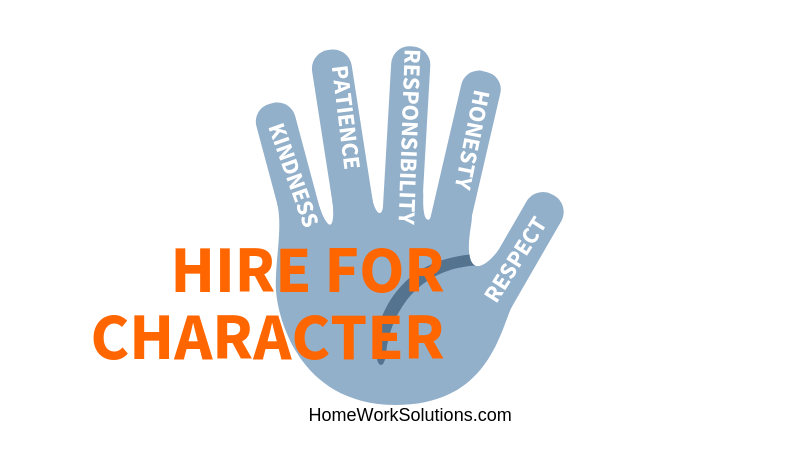 Here are some basic tips for a hiring a nanny with good character. 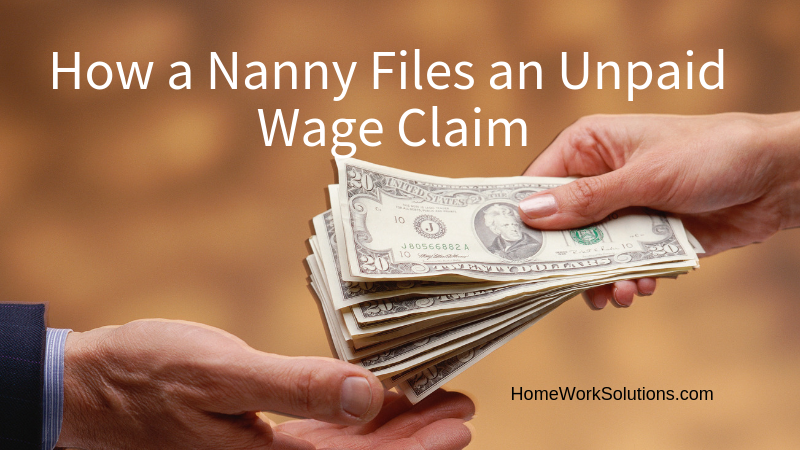 Occasionally a nanny or other household employee will find themselves in a dispute with an employer, generally a former employer, over unpaid wages. Whether this be overtime that wasn’t properly compensated, failure to meet minimum wage or final wages that were not paid, there exists in every state a mechanism to file an unpaid wage claim and have the state’s Department of Labor Wage and Hour office intervene on his or her behalf. These avenues should be pursued AFTER direct attempts to resolve the situation with the employer have failed. 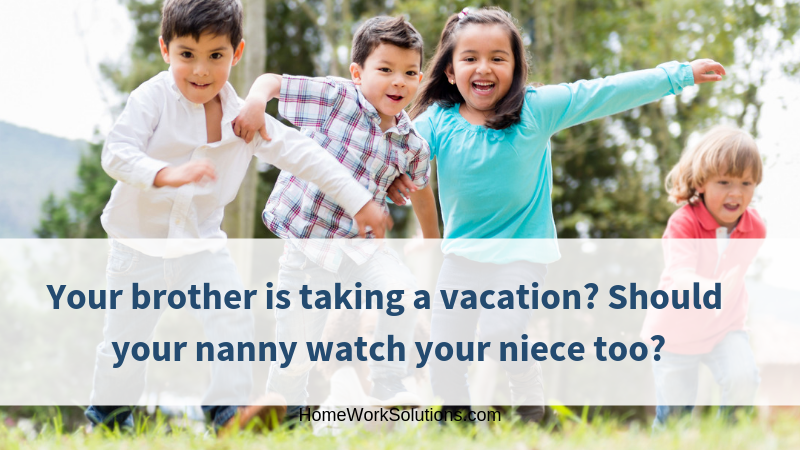 HomeWork Solutions' co-founder Kathy Webb recently participated in a nanny educational program focused around legal nanny payroll. In the course of discussions, attendees were anxious for some concrete examples on how the negotiation of pre-tax benefits for health insurance reimbursement and professional development could be cost neutral to a family and a big win for the nanny. You are going to hire a nanny or senior caregiver soon. You know that interviewing can be tricky, and don't want to make a mistake in this important activity. Before you begin advertising, narrowing down your candidates and starting the interview process, it is important to do some research on what proper protocol is for what questions you can ask and what is taboo. Here are some helpful caregiver interview tips. 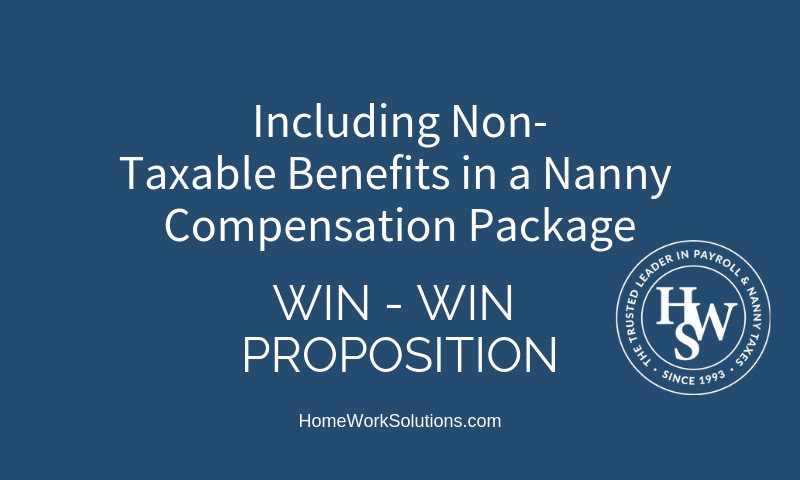 Case Study: We paid the caregiver cash, now she wants a W-2! Our client Nancy M. came to us with an issue regarding prior cash payments to her mother's caregiver and filing proper tax paperwork. 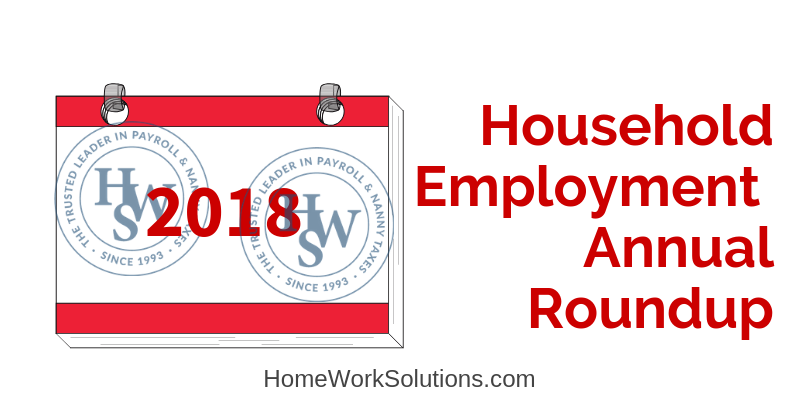 Every year HomeWork Solutions prepares a "what's new or changed" roundup of household employment tax laws and benefit information. The IRS annually reviews, and adjusts as necessary, the wage payment threshold that obligates a family to pay Social Security and Medicare taxes and issue employees W-2 forms. This threshold remains at $2100 of wages in a year for 2019.